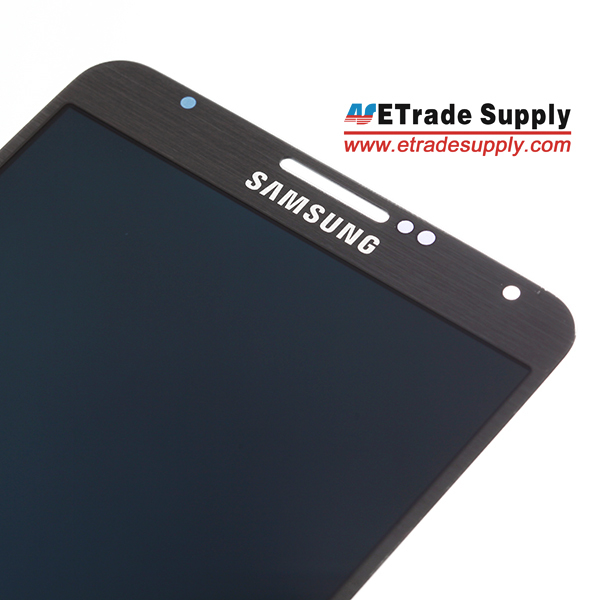 Samsung must be doing an especially poor job of keeping the Galaxy Note III under wraps on this particular day, as after the display panel of the device showed up in leaked pictures over at SonnyDickson.com, the folks over at eTrade Supply have published some photos of their own, of the same display panel. According to the website, the display size measures at 5.68-inches, which is the size we’d had confirmed earlier along with other specs. 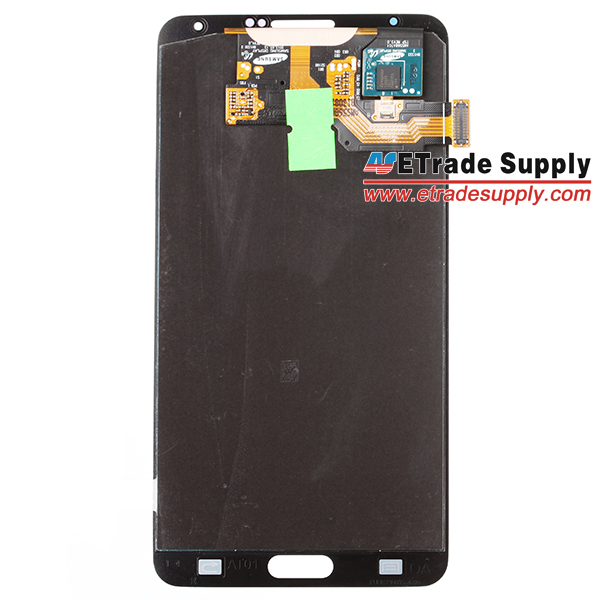 Compared to the Note 2, the screen has a few changes. 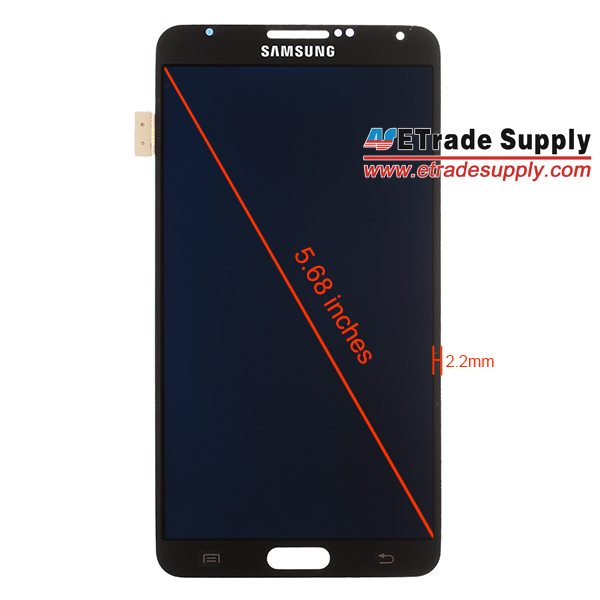 The sides of the screen are more like the S4 (which isn’t surprising), and the border is slimmer at 2.2mm. The total thickness of the display is apparently also really thin, at 1.8mm, so overall this shouldn’t be much larger than last year’s Note. I would love to tell you that it’s possible that display panel is from a prototype Note III that Samsung is using to hide the real design, but I guess that would be a lie. Samsung is most likely going ahead with the same look on the Note III as the S4 and last year’s devices, and it’s just over a week left before we get to take an official look at it. 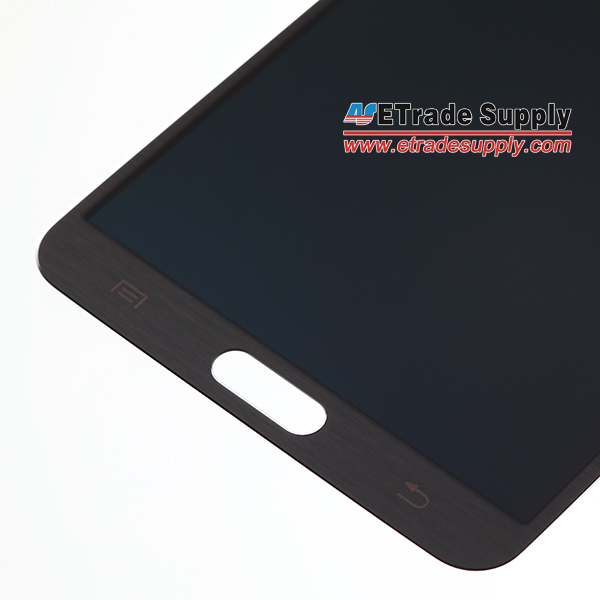 Probably a note 3 prototype or are we looking at a legitimate photo of the frame. No doubt that Samsung may still use Polycarbonate for it since they may save up something GREAT for their S4 successor next year! Maybe a proto. I think only but…In this front plate only i see 4 holes: Front facing camera, proximity sensor, light sensor, and LED. Where is the GESTURE SENSOR??? We’ll get the final design next week. 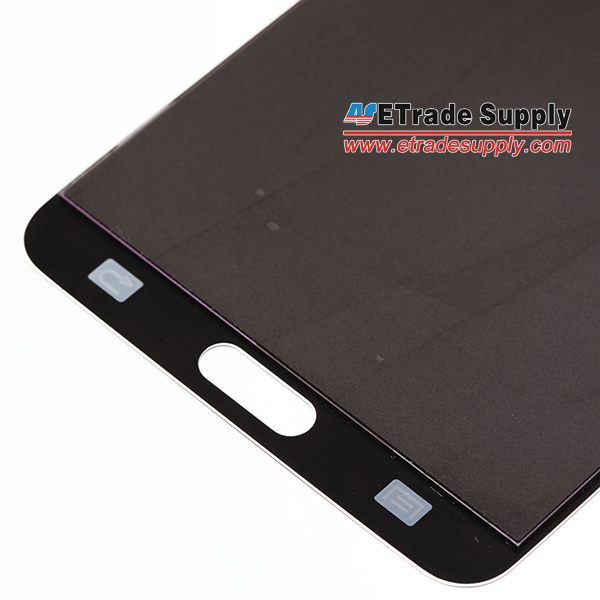 Pleeeeasseee the back cover be made of aluminum like the P6800. Absolutely nothing surprising here I expect it to to maintain the same style as the S4 MINUS the dotted pattern. It is to my understanding that Samsung is beginning to be more Apple line in the aspect of having all their phones look similar and alike. So you KNOW it a Galaxy brand. The problem is, Samsung’s design isn’t very attractive, that’s the problem with creating the current brand. Lumia looks great, iPhone looks great, Xperia Z etc look great, but Galaxy just doesn’t look great (even though they are otherwise good devices). I personally wish Samsung would create a brand with a better and more attractive design (not that it’s bad right now, it’s just nothing special).